Federal guidelines propose that adults should eat 12 ounces a week of fish. Fish and shellfish are high in protein and contain many of the micronutrients that our bodies need. In addition, they are very high in certain omega-3 fatty acids that our bodies do not make. These fatty acids, also contained in fish oil, are important for normal growth and development as well for our anti-aging activities. The three main omega-3 fatty acids are alpha-linolenic acid (ALA), eicosapentaenoic acid (EPA), and docosahexaenoic acid (DHA). ALA is found mainly in plant oils such as flaxseed, soybean, and canola oils. DHA and EPA are found in fish and other seafood. Our bodies cannot make fatty acids. The only practical way to get these important nutrients is to get them from our foods or via supplements. The membranes that surround each cell in our bodies are composed of fatty acids and proteins. In addition, they are integral to the functions of our heart. Without fatty acids, we would have less energy and possibly be prone to skin problems. Consuming fatty acids keeps your heart healthy and helps to protect you from many heart problems. The substance is an important part of our anti-aging arsenal. Why are fish so slim? Because they eat fish! All individuals, especially pregnant and breastfeeding women, young children, and women of childbearing ages, should limit their intake of fish that may be high in mercury. The general theory is that all individuals should be careful to avoid fish that may be high in the metal mercury. Mercury can negatively affect the nervous system of humans. This is especially true for children, including developing fetus, babies, and young children, since they are still growing and developing. Pollutants and toxins found in our streams and oceans get into the fish we eat and are very harmful. Nearly all fish contain some mercury. However, due to contaminants in the water, fish are absorbing too much mercury. 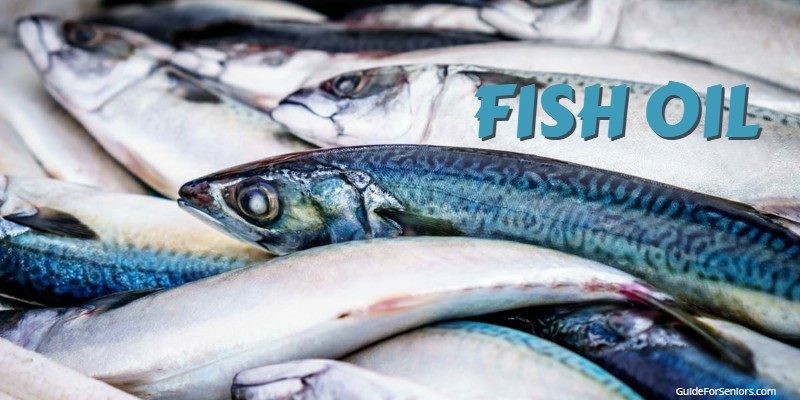 The fish with the highest mercury content includes tilefish, king mackerel, shark, swordfish, marlin, orange roughy, ahi tuna, and bigeye tuna. As a rule, smaller fish contain much less mercury than larger fish. As one fish consumes another, the predator accumulates the mercury in its prey. The same goes for humans. When we eat a fish that has accumulated a lot of mercury, we accumulate that mercury. Thus when we consume some fish with too much mercury, we are also absorbing too much mercury. At the present time, there is no set standard for how much omega-3 you should get each day. Most organizations recommend a minimum of 250-500 mg combined EPA and DHA each day for healthy adults. It is good for you but our government has yet to stipulate it as a necessary substance for us. It is widely recognized that the consumption of fish oil will not be harmful. Therefore it is an important supplement. There are a variety of advantages to consuming fish oil. Fish oil contains essential nutrients. Many anti-aging strategies include taking this substance. It will aid in reducing heart disease. If you already have heart disease, it is an important part of your regime for management of the disease. Since many of us do not partake of fish on a regular basis, it only seems right that taking the supplement, fish oil, can only help us. Make no mistake, the better way to get your fish oil is thru fish but the next best thing is thru supplements. All these benefits from just one pill! No one should lower the level of their medications and substitute it with fish oil, but it will definitely make a difference in your health. Many doctors often recommend 1000 to 1200 mg of fish oil because that amount of fish oil contains the total amount of omega-3s the doctor wants you to consume. 1000 mg or 1200 mg of fish oil doesn’t equal 1000 or 1200 mg of omega-3s…. the 500 mg EPA and DHA recommendation. The amount of fish oil in a supplement is often stated in milligrams or abbreviated mg. Therefore 1000 mg of fish oil is equal to 1 gram. Many supplements come in the dosage of 2000 mg. This is not an excessive amount of fish oil and the dosage is fine. This amount would provide around 600 mg of omega-3. There have been many studies on the benefits of fish oil. Many studies have come to the conclusion that this supplement does not help. Just as many studies have come to the conclusion that it does make a difference for our health and in our search for anti-aging. Some studies stipulate that fish oil has an incredible impact on the brain, especially when it comes to memory loss and depression. The studies stipulated that some forms of depression and memory loss were helped with the supplement. Those are two important aspects of anti-aging. Since there is little downside to taking the supplement, it is something that should be added to your daily routine. For those looking to learn more about this topic, we’ve included a few resources below. These include products that may be useful and places to find more information from quality sources. i-Herb Fish Oil: This California Gold Nutrition premium fish Oil with Omega 3 is a great product. Fish oil is important for your health. Dr. Amen at brainMd recommends Omega-3 Power to support your cognitive function, positive mood, heart, and overall health. Their fish oil softgels are ultra-purified and highly concentrated. US Department of Health and Human Services: In-depth information about Omega-3 supplements. Read more on Guide for Seniors about your health.